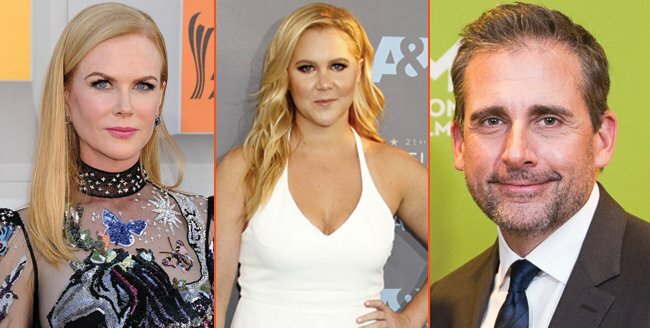 Amy Schumer may have pulled out of the live-action Barbie movie – scheduling conflicts seemingly prevented the actress and comedienne from reaching a deal with Sony – but THR is reporting that Schumer has already lined up another gig. Behind the scenes, Gigi Pritzker and Rachel Shane are on board to produce via OddLot Entertainment. If that banner rings a bell, it should; it was one of the creative driving forces behind last year’s sleeper hit Hell or High Water, which wound up with four Oscar nominations including one for Best Picture. She Came to Me is another high-profile addition to Carell’s stacked slate, which is also playing host to tennis drama Battle of the Sexes and Amazon pic Beautiful Boy. And though that aforementioned Barbie deal fell through, Amy Schumer will soon be seen opposite Goldie Hawn in Snatched (May 12th), while Kidman is currently starring in HBO drama Big Little Lies. It’s early, early days for Miller’s She Came to Me, but after today’s casting coup, it surely won’t be too long before the wheels grind into motion. Perhaps a 2017 shoot is on the cards? We’ll find out very soon indeed.